Taylorville bed and breakfast travel guide for romantic, historic and adventure b&b's. 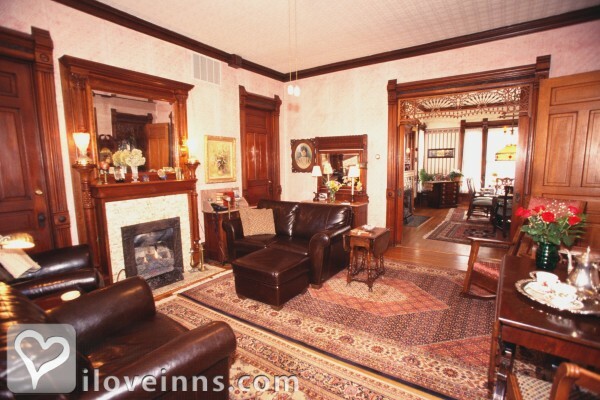 Browse through the iLoveInns.com database of Taylorville, Illinois bed and breakfasts and country inns to find detailed listings that include room rates, special deals and area activities. You can click on the 'check rates and availability' button to contact the innkeeper. Taylorville, Illinois is noted for the Abraham Lincoln Presidential Library and Museum, Christian County Historical Museum and Genealogical Society, Christian County Courthouse, Christian County in the Civil War, the Abraham Lincoln Home, and Abraham Lincoln Tomb. Taylorville also has a number of outdoor attractions including New Salem State Park, Sangchris State Park, and Wolf Creek State Park with trails that are perfect for hiking and mountain biking. Other attractions near the town can be accessed with the help of the innkeepers at Taylorville bed and breakfast inns. Among these are Christian County Fair, the Illinois State Fair, 4 Wheeler and Dirt Bike Park, Black Horse Powwow, Dana-Thomas House by Frank Lloyd Wright, and Milliken University. The most popular restaurants in Taylorville are One East Market, Florinda's, and Round Table Restaurant. By Market Street Inn. Taylorville, Illinois was founded in 1839 by fur trappers and traders. A community developed around agriculture and coal mining with a light industrial base. Today there is no longer coal mining here but we are surrounded by agriculture and blessed with some light industry. Our National Registry Town Square features the Christian County Courthouse in its center and is surrounded by many vintage buildings some with Mesker and other cast iron facades. Abraham Lincoln practiced law here during his travels of the 8th Judicial Circuit of Illinois prior to being elected president. By Market Street Inn. Taylorville, IL was founded in 1839 by fur trappers and traders from Kentucky. Abraham Lincoln, who surveyed Christian County also practiced law in our original court house which is preserved at the Christian County Historical Society park a few blocks from our inn. The Lincoln Prairie Hike and Bike Trail starts about 6 blocks from our front door. Enjoy fun restaurants and drinking establishments while you romance one another in an historic setting. By Market Street Inn.